Luo, L., Hodges, J., Winship, C., & Powers, D. 2016. 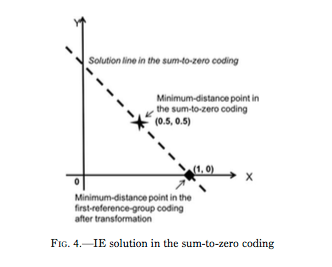 ``The Sensitivity of the Intrinsic Estimator to Coding Schemes: Comment on Yang, Schulhofer-Wohl, Fu, and Land.'' American Journal of Sociology 122(3): 930–961. I’ll go with Luo/Hodges/Winship/Powers, who agree with Heckman/Robb and Fienberg/Mason before them.